A Cozy Design … like being wrapped in a blanket! Isles of Aran cape is NOT for the faint of heart. 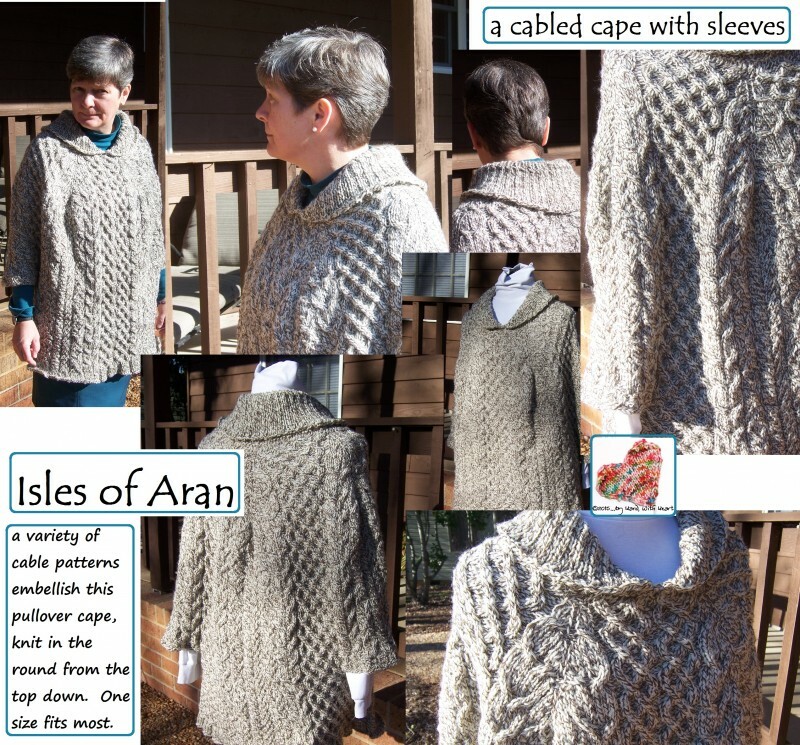 This one will keep you interested with its many different cable patterns while increasing and shaping the cape … “sleeves” included … and a cozy, thick, shawl collar. How fun this one is to create. Available for immediate download from my Ravelry store, on Craftsy and (for my European friends) from LoveKnitting.